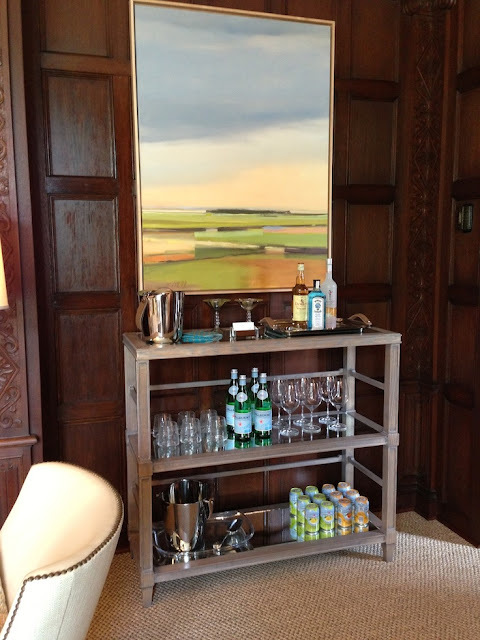 Bar carts are back and in a big way. A fully stocked one with all the essentials will elevate your entertaining to the next level. 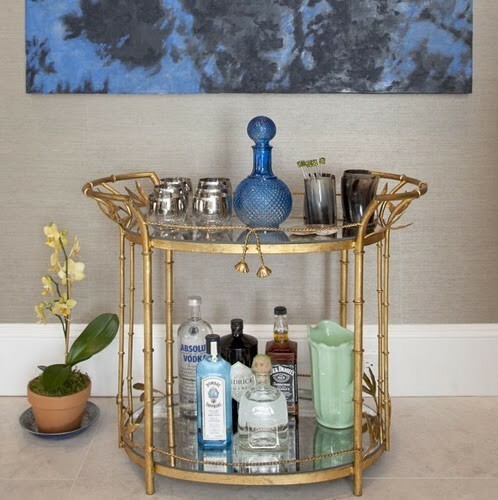 It's easy to make them look fabulous and today I've rounded up some of my favorite items, specifically towards a more 'manly' bar cart. 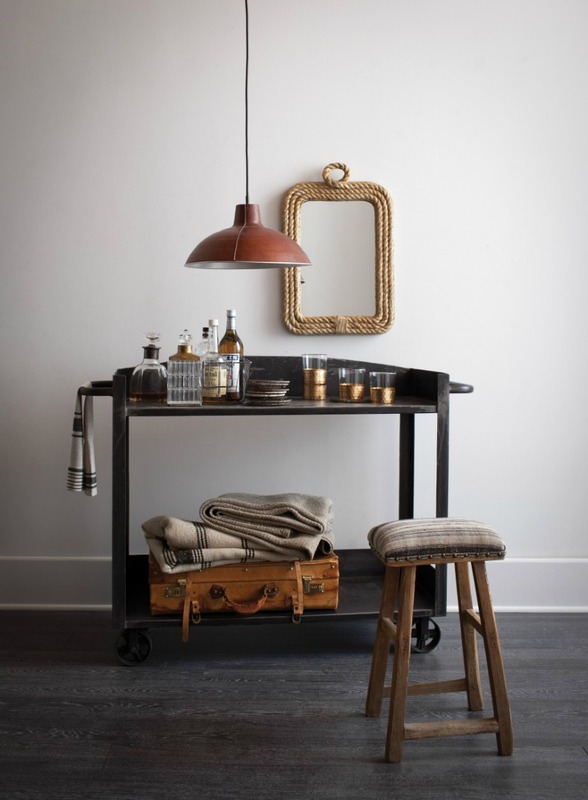 I would actually start off by hitting the local thrift stores to see if you can find some one of a kind pieces that will be conversation starters as well as save a few bucks. 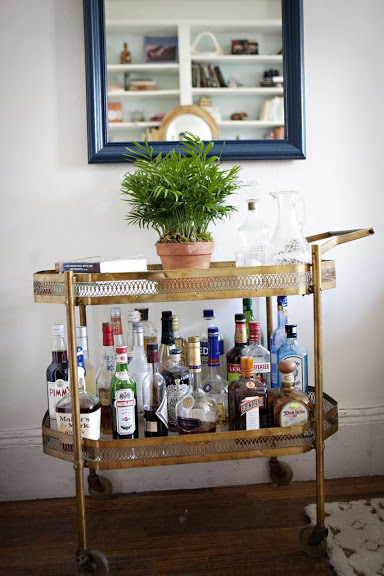 Super easy to make your own bar cart and you might even have some of these at home already! 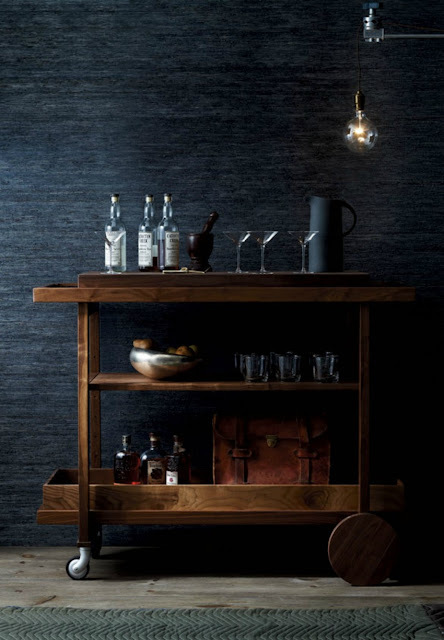 I would add in a small vase of fresh flowers or a topiary for a little greenery but for a bachelor, the above collection combines textures and metals while still looking manly.